Thank you for visiting my portfolio showcasing my best work to date. 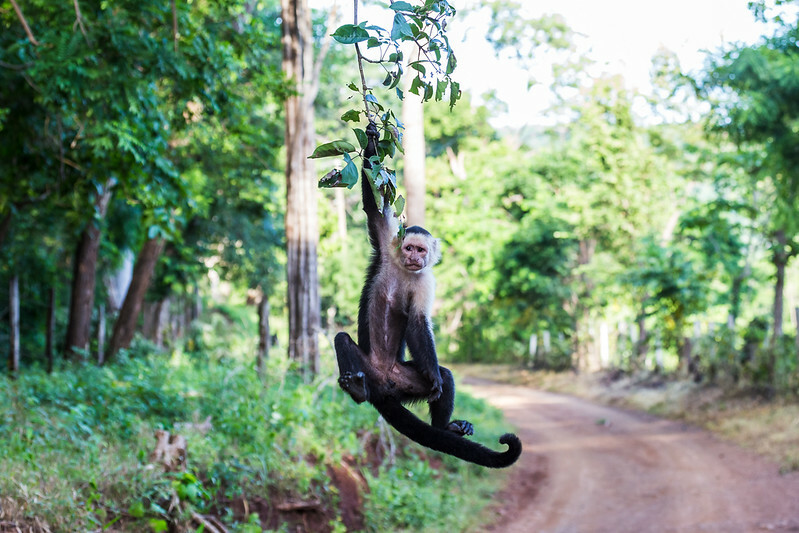 My images can be enjoyed as a slideshow using the button on the top right of the page & you can also enlarge each image to fill your screen by clicking on it. 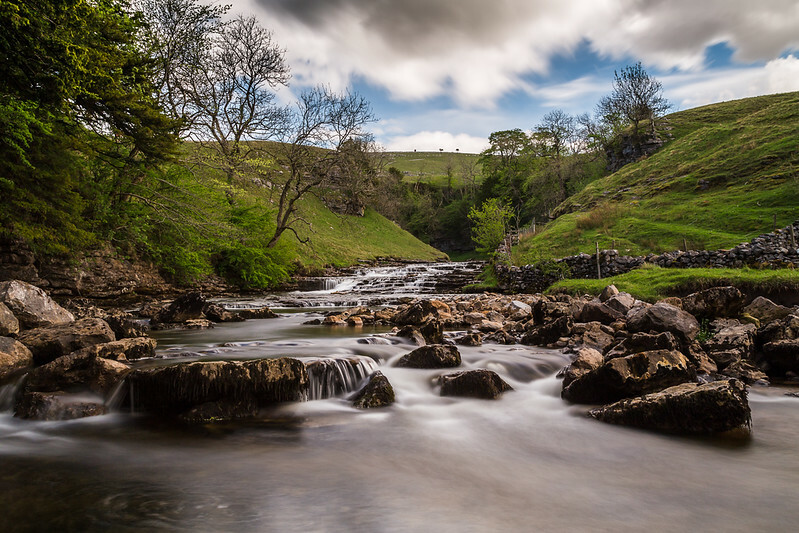 My images are available to purchase in a wide array of sizes & formats (such as canvas, block wraps, standard prints) or as digital downloads using the "buy" button under each image. Watermark's are automatically removed at the checkout & will not show on your purchases. Pier Head in the golden hour. 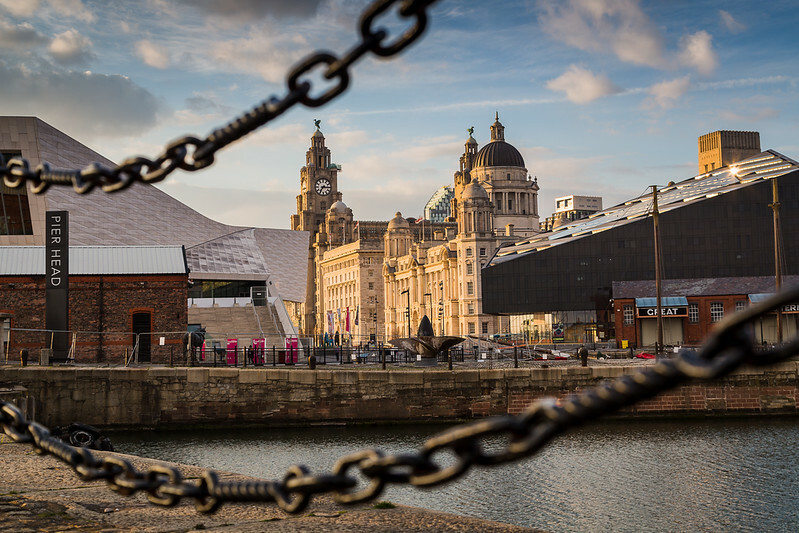 The golden light spills onto the Three Graces along the famous Liverpool waterfront. The sun goes down on Guanacaste. 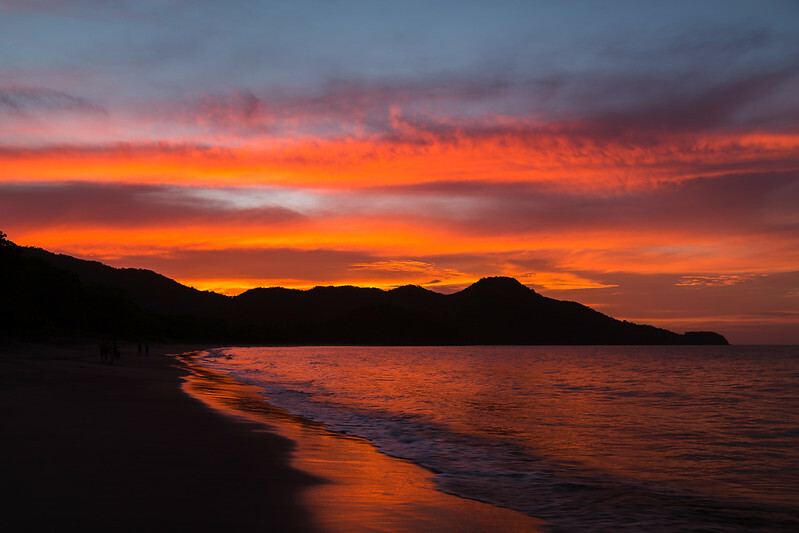 The golden sky glows over Playa Matapalo in the North West province of Guanacaste in Costa Rica. Portrait of a Grey seal. 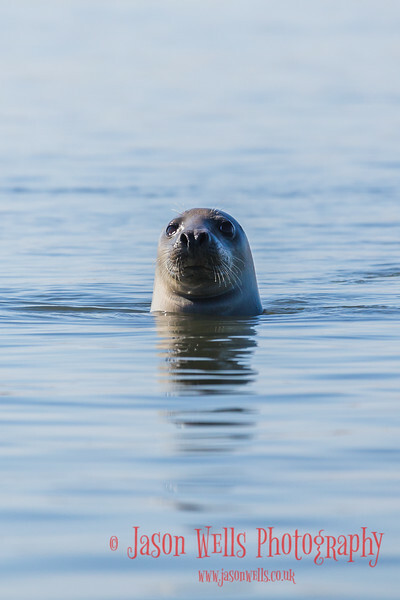 A lone Grey seal bobbing up & down in a channel of water just off of Blakeney Point on the North Norfolk coast. Monochrome tunnel at King's Cross. 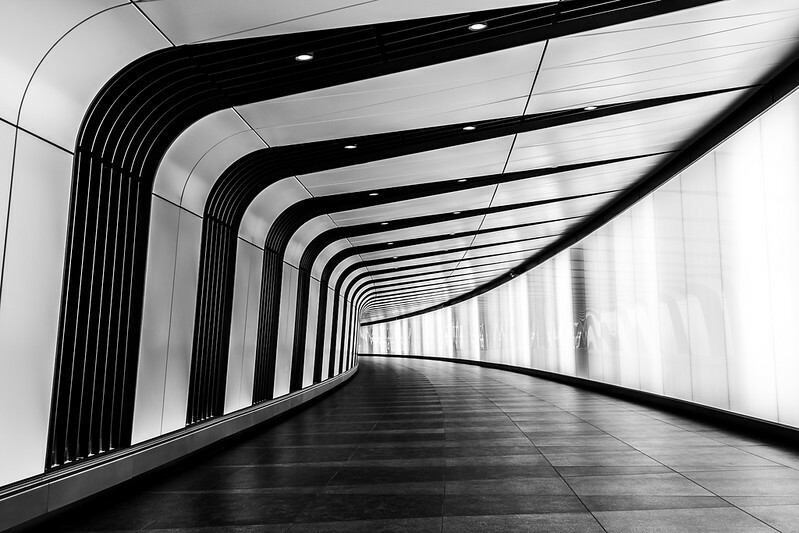 High contrast image of a walk-way/tunnel at King's Cross station in London. 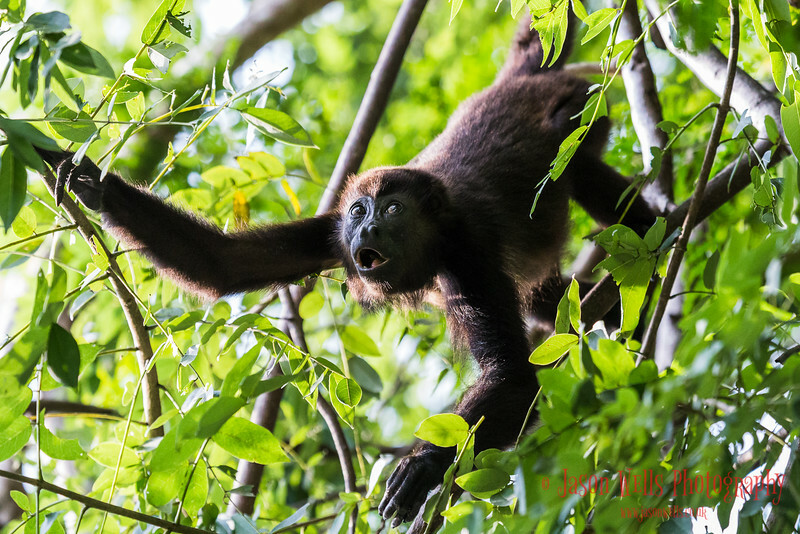 A Howler monkey fills the frame as it reaches out for its next mouthful of fresh leaves in the treetops of a Costa Rican dry forest. Giant little girl in front of the arch at Chinatown. 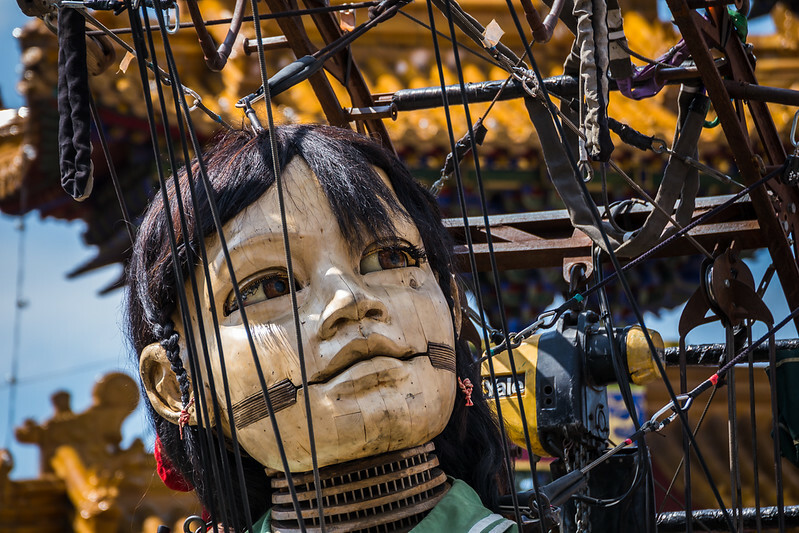 The giant little girl marionette resting at Chinatown in Liverpool during the Memories of August 1914 performance. Fishing from the Malecon in Havana. Fishermen line the ocean wall in the Cuban capital city of Havana during the sunset. 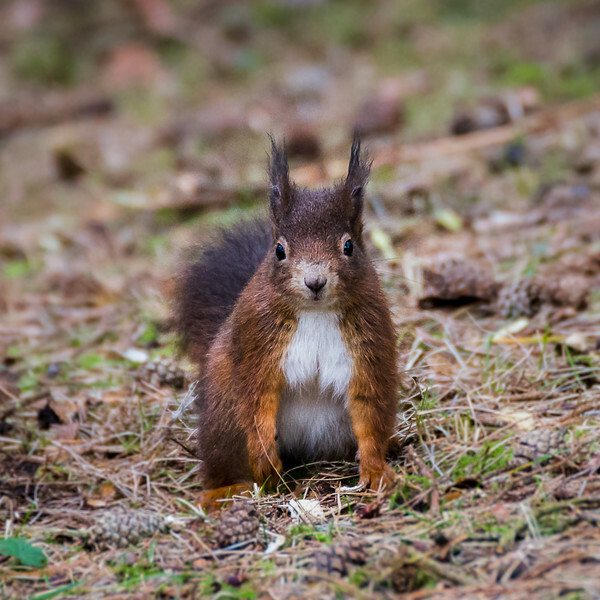 A close-up of a red squirrel at Formby pine forest near Liverpool. Royal Liver Building in monochrome. 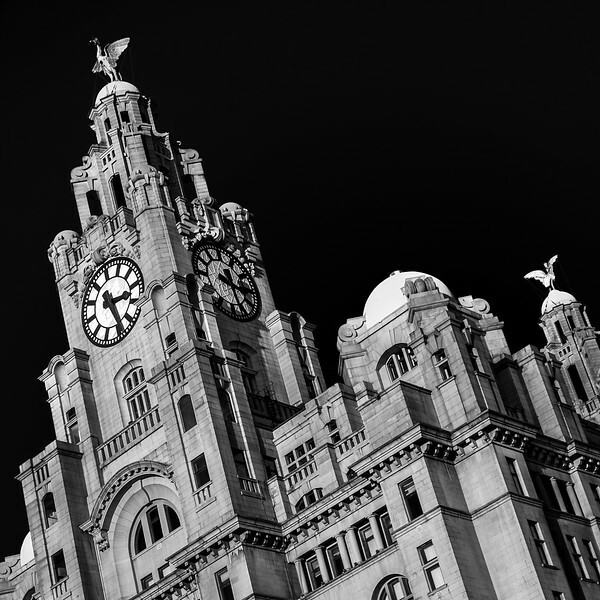 A high contrast image of the Royal Liver Building in Liverpool in black & white. Belgian Air Component F-16AM Fighting Falcon after a bump & go. 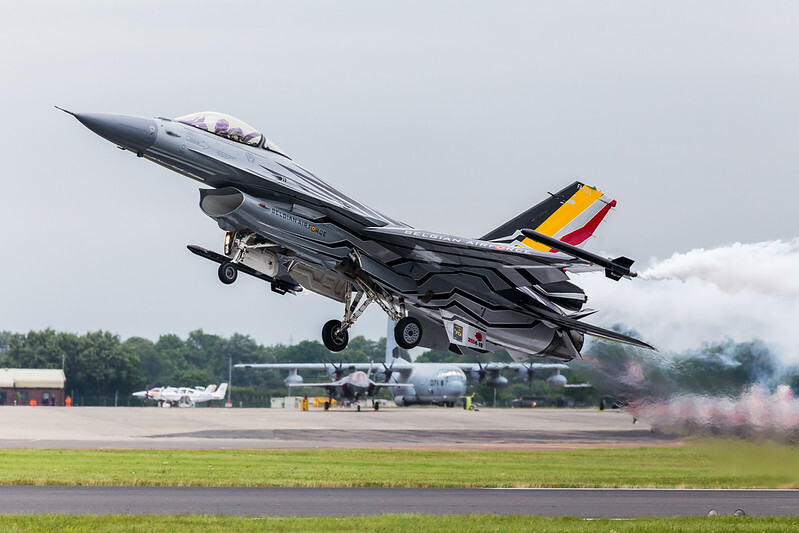 BAF F-16 Solo Dispay Pilot Tom “Gizmo” De Moortel performs a touch & go on the runway at RAF Fairford during day two of the 2016 Royal International Air Tattoo. Up close with a Bald Eagle. 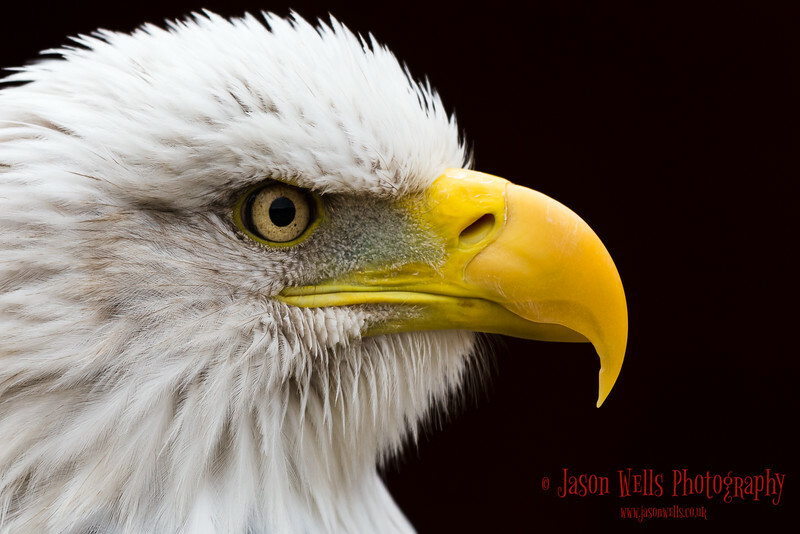 An extreme close-up of a gorgeous Bald Eagle in South Norfolk captured against a dark background. A man working under the bonnet. 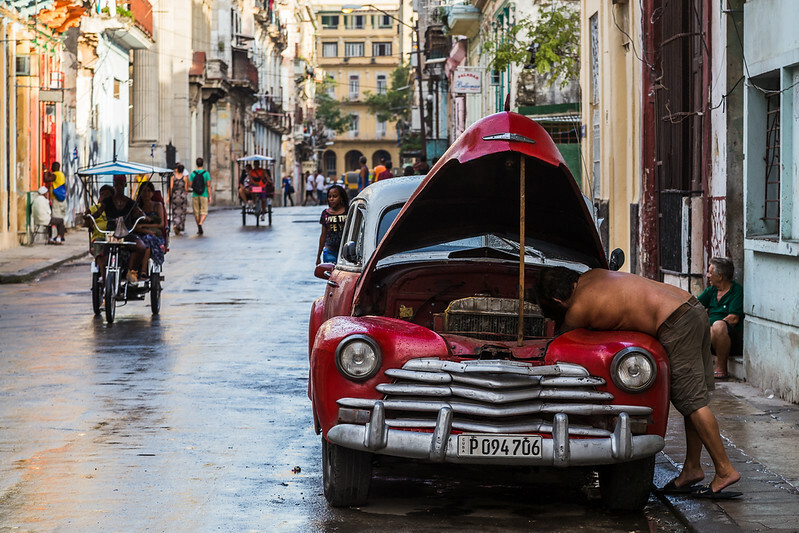 This image was captured shortly after a rain shower in a typical street of Centro Havana showing a man working on his red old timer, the bonnet propped up by a broom stick. Square crop of Alex in sepia. 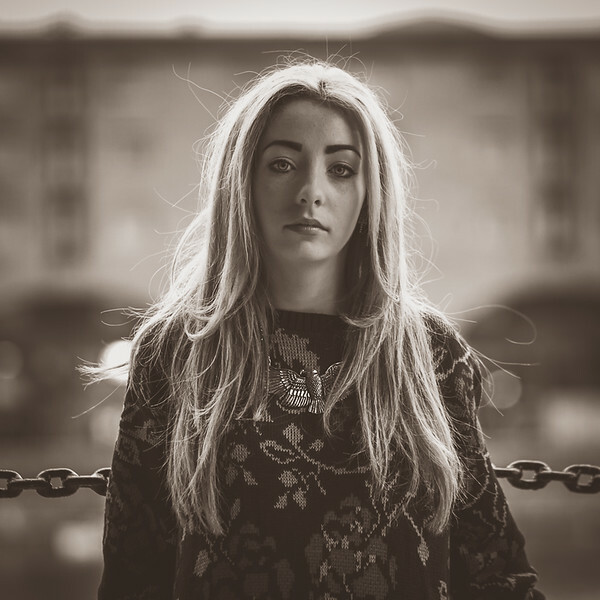 A warm split-toned portrait of my friend Alex at the Albert Dock in Liverpool. Classical cars in front of the El Capitolio. 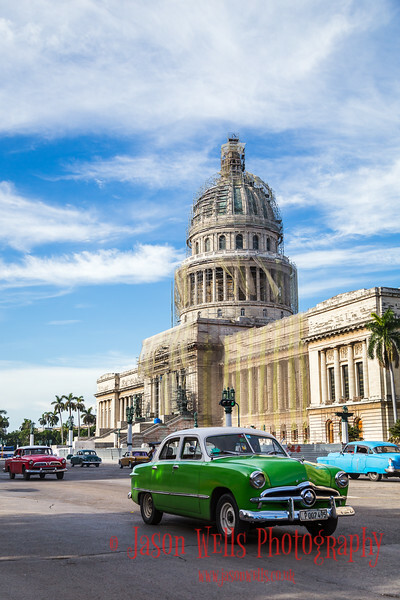 Colourful American cars from the 1950's passing the National Capitol Building in Havana. Traffic trails in front of Liverpool town hall. 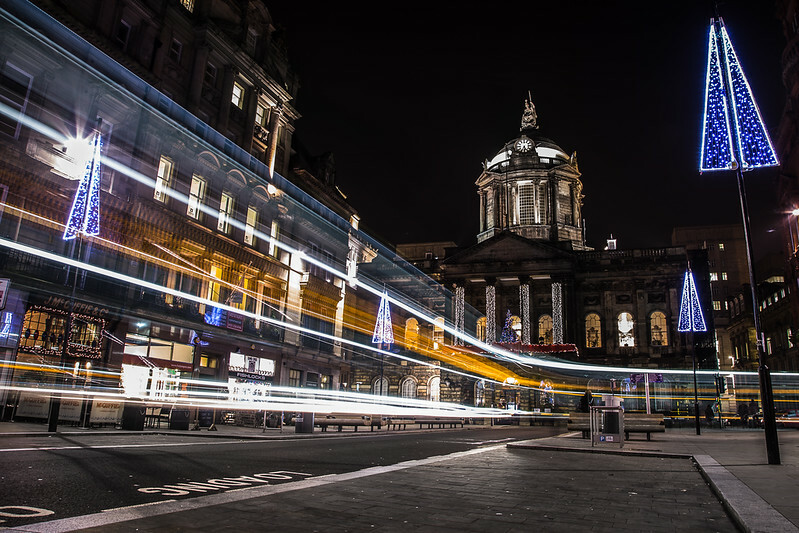 Bus & car light streaks in front of the Liverpool town hall just before Christmas. Close-up of a humpback whale breaching. 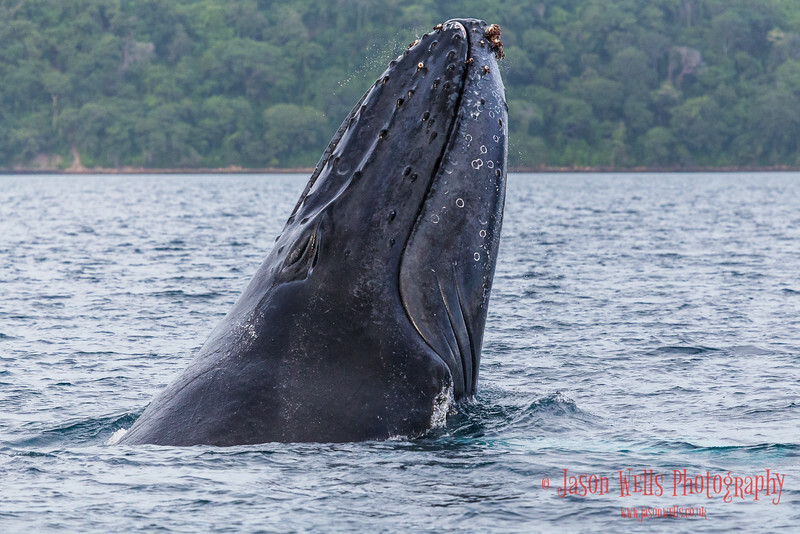 The wow moment of 2016 as a humpback whale fills the frame as it breaches in front of our boat in Culebra Bay - off the coast of Guanacaste, Costa Rica. Giant little girl in front of the Three Graces. 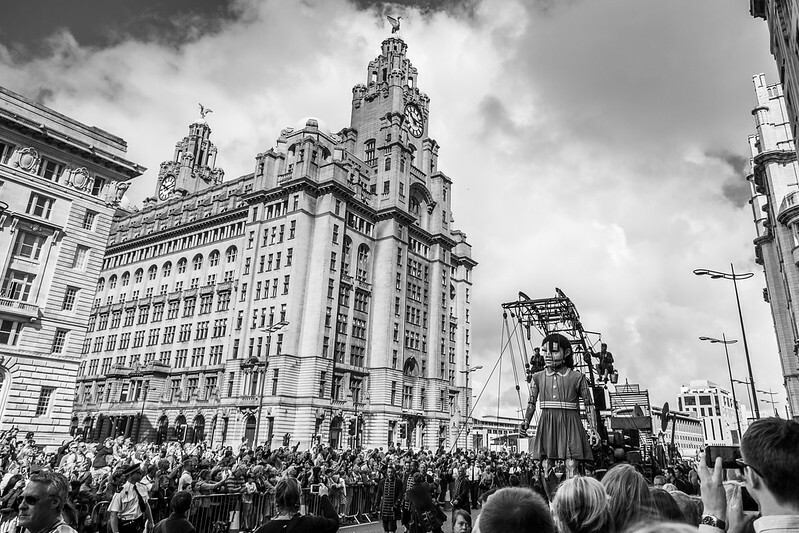 One of the giant marionette's from Royal De Luxe striding around Liverpool during the Memories of August 1914 event. 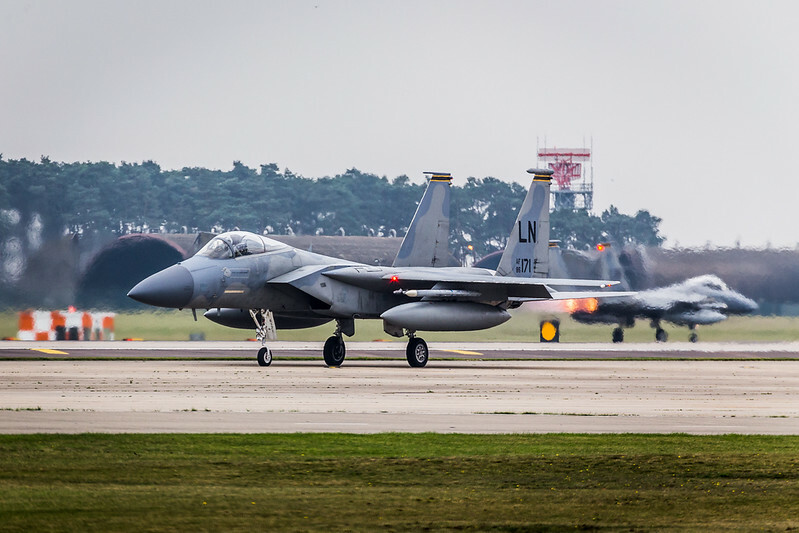 An F-15C Eagle holds for take-off as his wing-man takes off in the background. 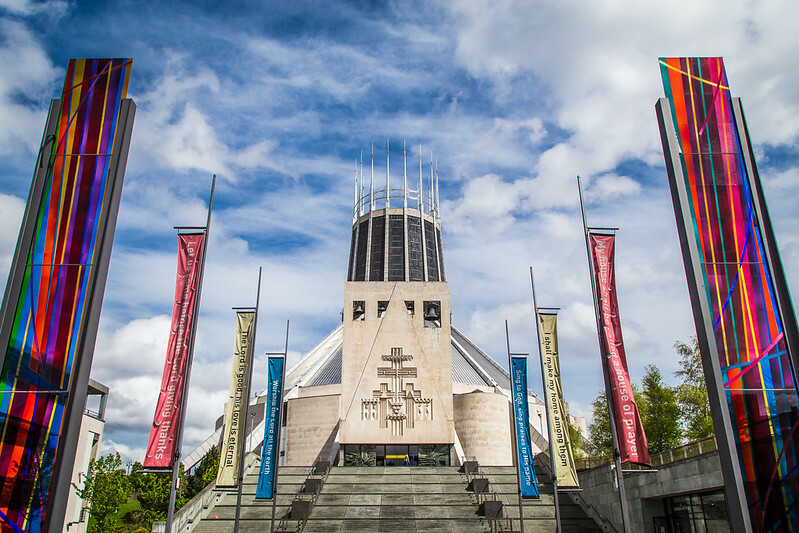 Colours in front of Liverpool Metropolitan Cathedral. Flags & stained glass leading to the steps of Liverpool's Metropolitan Cathedral. 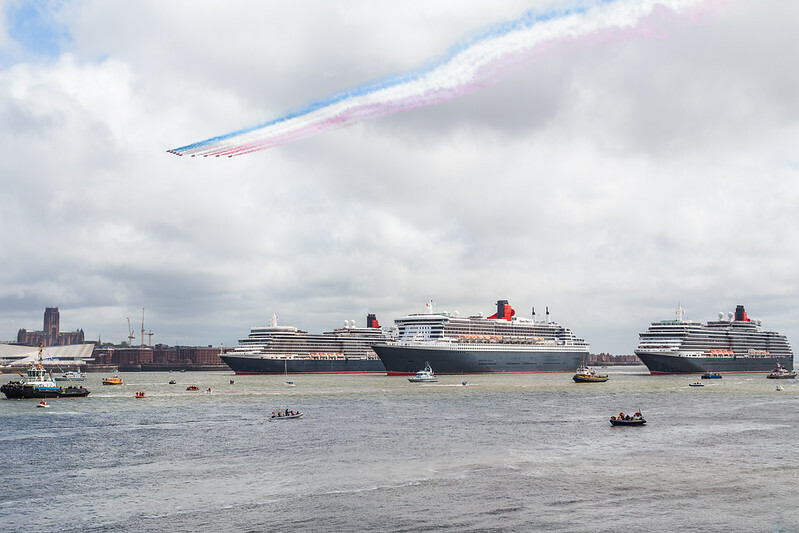 Red Arrows flying over the Three Queens. The Royal Air Force's aerobatic display team the Red Arrows pass over the Liverpool waterfront where the Queen Mary 2, Queen Victoria & Queen Elizabeth are in formation to mark the 175th anniversary of Cunard. 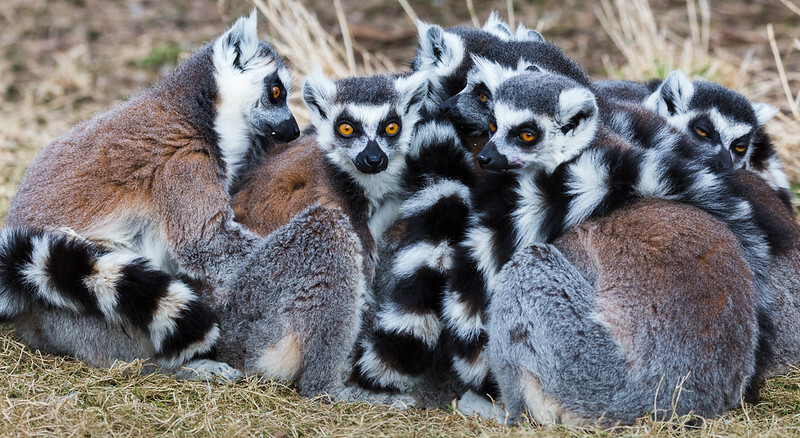 A group of Ring-tailed lemurs huddle closely together to keep warm as the sun goes behind a cloud. 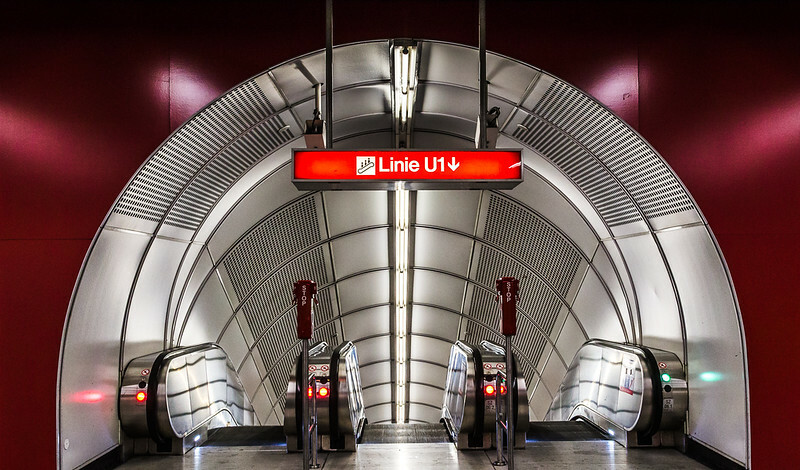 A modern escalator on the U1 line at Stephansplatz, Vienna. 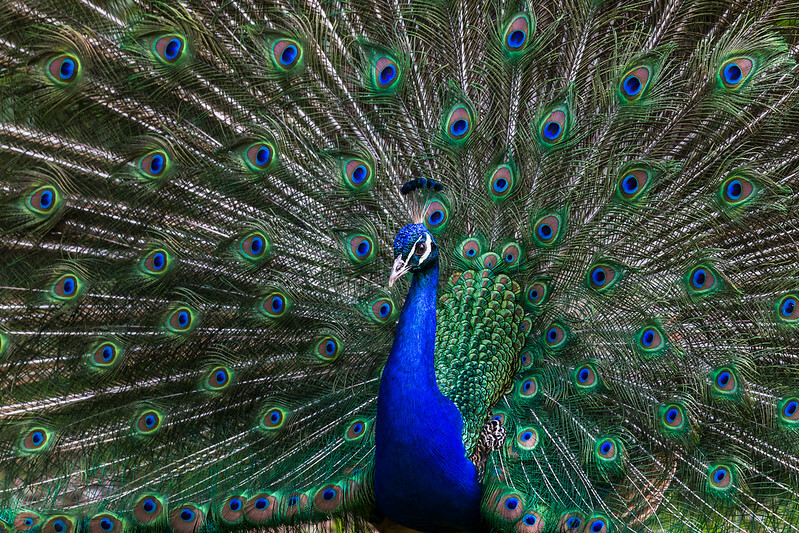 A beautiful peacock/peafowl spreading it's pretty wings. This image was captured at Knowsley Safari Park in the spring of 2015. Tram trails in front of the Austrian Parliament Building. 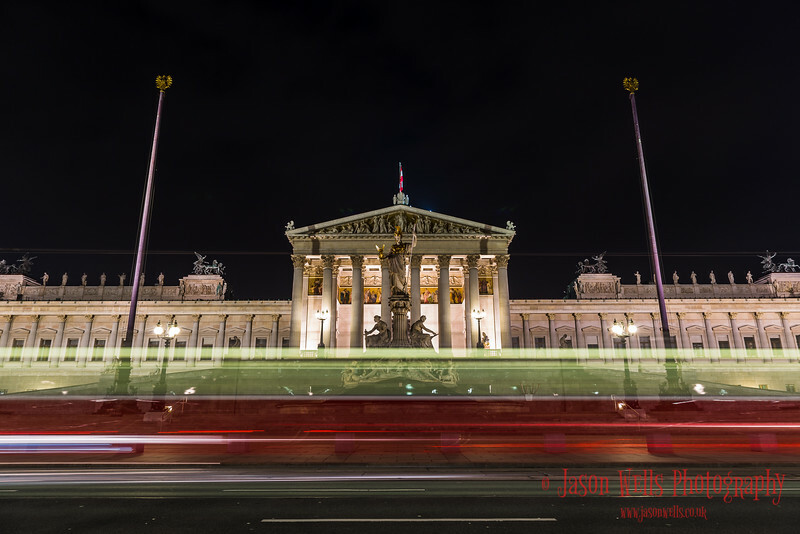 Long exposure of a red & white tram passing in front of the Austrian Parliament Building in Vienna. Looking through a damp cobweb. 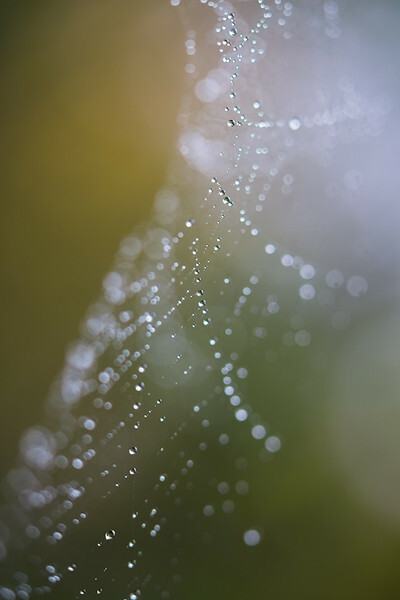 Close-up of a cobweb covered in dew at Brockholes woodland & wetland reserve near Preston. Autumnal yellows & browns can be seen in the background. 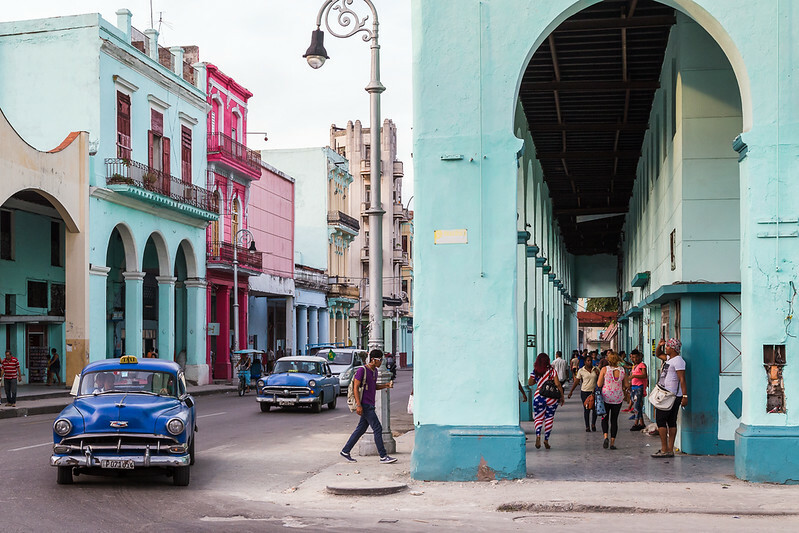 Colours of the Cuban capital. Centro Havana in Cuba featuring brightly dressed locals, colourful decaying buildings & a couple of classical cars. 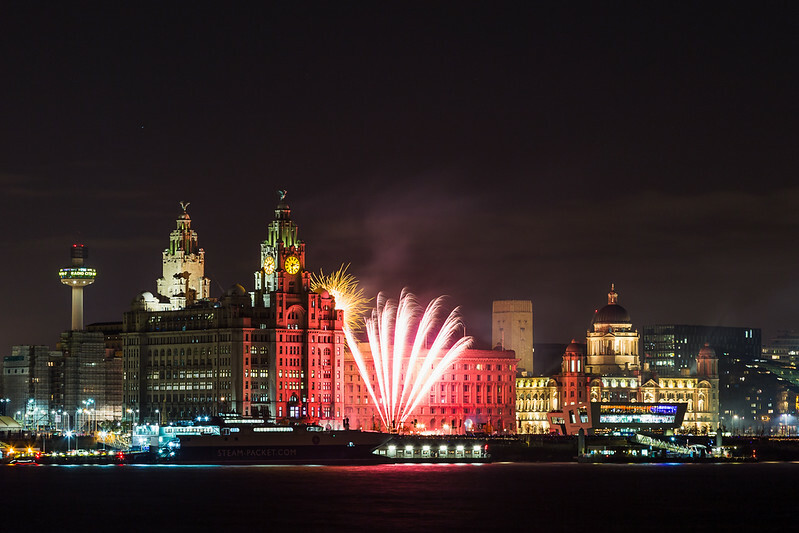 Long exposure taken from the Wirral Peninsula facing Pier Head as fireworks are let off from the Liverpool waterfront during River of Light. The Royal Air Force's aerobatic display team The Red Arrows (including the spare) take off from Hawarden airport in Cheshire during the summer of 2016. 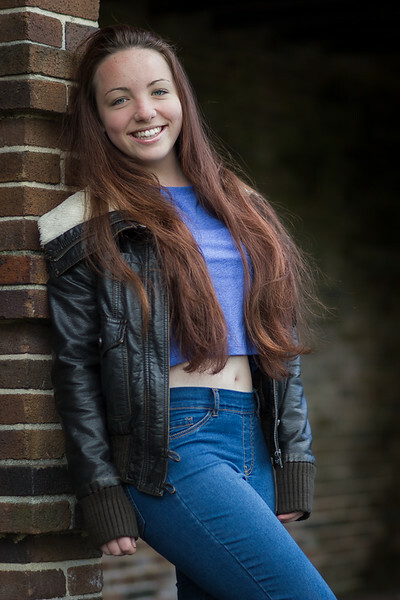 My favourite portrait of Rhianna from our first shoot. Chain Bridge during the blue hour. 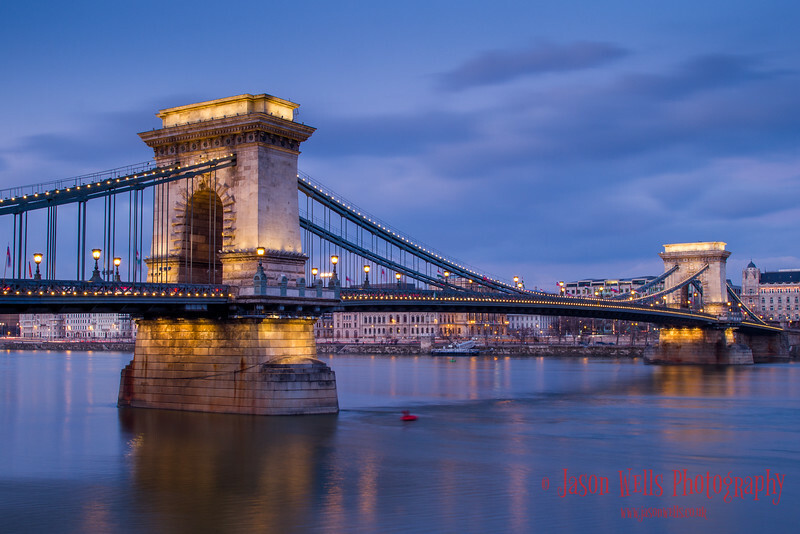 The iconic sight of Chain Bridge spanning the Danube River in Budapest lit up during the blue hour.